MUXL (Mobile UX London) is back with its fourth annual conference, bringing insights from the best minds in User Experience (UX) and design. November 21, 9:25am to 7:00pm, join for multiple tracks of talks on groundbreaking topics including AI, voice design, smart homes, and much more. 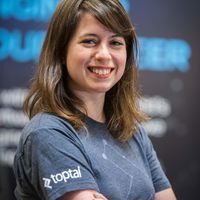 Toptal designer Bill Tribble will co-lead a workshop on How to Run a Lightning Decision Jam. Beginning at 10:00am, this workshop will train you in methods to make decisions as a team and build consensus in just one hour, using tools adapted from the Google Ventures Sprint format.